This year's African Cup of Nations is beginning to wind up with the semi finals now upon us & the continent's number one & number two ranked teams are on opposing sides of the draw meaning that a real heavyweight clash could be on the cards for the final in Gabon. We've been keeping an eye on the tournament progress & have watched a few of the latter group games & quarter finals & think that we can see a few slivers of value in the markets for both games on Wednesday. 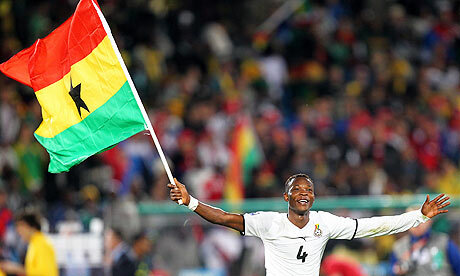 The first game of the day is at 4pm British time so it's worth getting your bets on early as Ghana take on Zambia. Ghana are ranked 26th in the world by FIFA & that means they are the 2nd highest ranked side in Africa behind only the Ivory Coast whereas their rivals Zambia are rated just 71st best in the world & 16th best on the continent. This is Zambia's first trip to the semi finals since 1996 & they've played some nice football at times, beating Senegal & the co-hosts Equatorial Guinea in the group stage before dealing with Sudan in the quarter finals by regularly catching them on the break with pace to win 3-0. Although they kept a clean sheet against Sudan they did look a little indisciplined at the back at times with players both going for the same ball & some rushed clearances & having to face their strongest opposition in the competition so far in Ghana could see them caught out. Ghana scored after just 10 minutes against Tunisia in their quarter final but were forced in to extra time before BBC African Footballer of the Year Andre Ayew popped up with a winner, they must have been confident of winning though as the irrepressible John Paintsil was left out of the starting lineup! They've been very solid throughout, winning 1-0 & 2-0 in their opening two games before seeing qualification out with a 1-1 draw with Guinea. Captain John Mensah has popped up with a couple of goals from his centre back position but they have enough quality further forward to not need his help here, Andre Ayew is a real star & Asamoah Gyan has a bit of quality about him up front, Sulley Muntari can win the ball in midfield & get the ball quickly forwards plus has a great goal return in international games with 17 goals in 69 games. 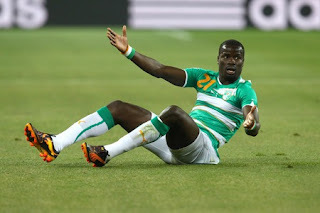 Ghana will need to be wary of Christopher Katongo & the improving youngster Emmanuel Mayuka who will likely be paired up front for Zambia but the stronger side should like this match up as Zambia are a little wasteful with the ball at times & often rely too much on pace as their technical ability isn't hugely high. If Ghana can keep getting the ball back they won't give it away too often themselves & we think they can gain another win whilst keeping a clean sheet at odds of 2/1 with Coral. The Ivory Coast are the team with the real stars here & they've won their 4 games so far without conceding a goal, it looks like being a tough night for their opponents Mali who are just coming back off a win by penalty shootout over co-hosts Gabon whose captain, Barcelona's Seydou Keita, is their only real star. The Ivory Coast can call upon the outstanding Yaya Toure, his brother Kolo, Chelsea pairing Salomon Kalou & Didier Drogba, Cheick Tiote & Gervinho from the Premier League alone, that's ignoring cult hero Emmanuel Eboue (now at Galatasary) & CSKA Moscow's speedy winger Seydou Doumbia. They've been efficient & impressive throughout the tournament showing themselves to be deserving favourites, Drogba picked himself up after a missed penalty in the quarter final to stick two goals in afterwards & they must be feeling confident they can improve on their single triumph in this competition. Backing the Ivory Coast at 1/2 to win probably isn't going to make you rich but that really is a value price, they're a step above their opposition here & Mali will likely be tired from their tough win that went to penalties just 3 days ago whilst Ivory Coast played on Saturday.